Are you the one to see this saga through? The producers of the 50th anniversary tour of Jesus Christ Superstar have announced open casting calls in key cities around the country for the title character of Jesus. The North American Superstar tour is set to launch October 8 at Austin's Bass Concert Hall, before continuing on to over 30 cities. Wojcik-Seay Casting will be hosting open casting calls in cities across the U.S., including Orlando (April 20), New Orleans (April 27), Atlanta (April 29), Dallas (May 6) and Los Angeles (May 10). "Following in the footsteps of great rock musicians like Ian Gillan, Ted Neeley and Steve Balsamo, we are looking for the next singer to take on and transform the role of Jesus," said producer Stephen Gabriel, in a statement. Here is a description of the character Jesus: Rock tenor; 20s-30s. Chest voice B2-Bb4, powerful falsetto/scream up to G5. This role demands a well-rounded, rich middle register that also has a super extended upper register with virtuosity coupled with sensitive musicianship. Think Jim Morrison-meets-Steven Tyler. A true "rock star," comfortable addressing a group of 12 or an arena of 12,000. This role does not dance but must be comfortable moving. A performer with strong individual identity, ability to communicate beyond the fourth wall in a very large house and be free and creative during the rehearsal process. Must play guitar. For more information about the open casting calls, please click here. 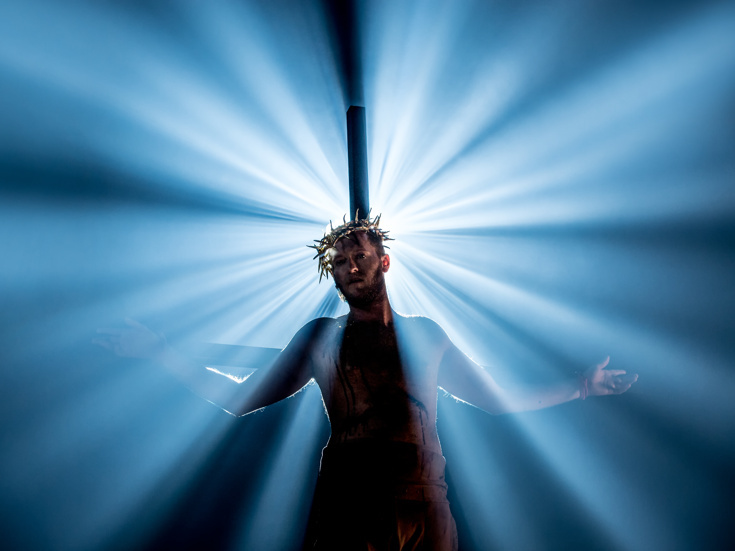 Tim Rice and Andrew Lloyd Webber’s Jesus Christ Superstar is set against the backdrop of an extraordinary series of events during the final weeks in the life of Jesus Christ, as seen through the eyes of Judas. Reflecting the rock roots that defined a generation, the legendary score includes "I Don’t Know How to Love Him," "Gethsemane" and Superstar." The North American tour will be helmed by director Timothy Sheader and choreographer Drew McOnie (King Kong). Rounding out the creative team are scenic and costume design by Tony nominee Tom Scutt, lighting design by Lee Curran and music supervision by Tom Deering. Regent’s Park Open Air Theatre production of Jesus Christ Superstar won the 2017 Olivier Award for Best Musical Revival, selling out two consecutive engagements in 2016 and 2017. The show is a proven musical phenomenon with a world-wide fan base, as demonstrated by NBC’s Jesus Christ Superstar Live in Concert. Now, almost 10 years after the last major tour in the U.S., this award-winning production will play over 50 markets throughout North America.